The inaugural China Open Sailing (COS) tournament will be held next month through to October, taking in the cities of Dalian, Shanghai, Quanzhou and Shenzhen. Wang Jiaxin, minister of Chinese Yatching Association, talks at a press conference of China Open Sailing in Shanghai on Thursday. 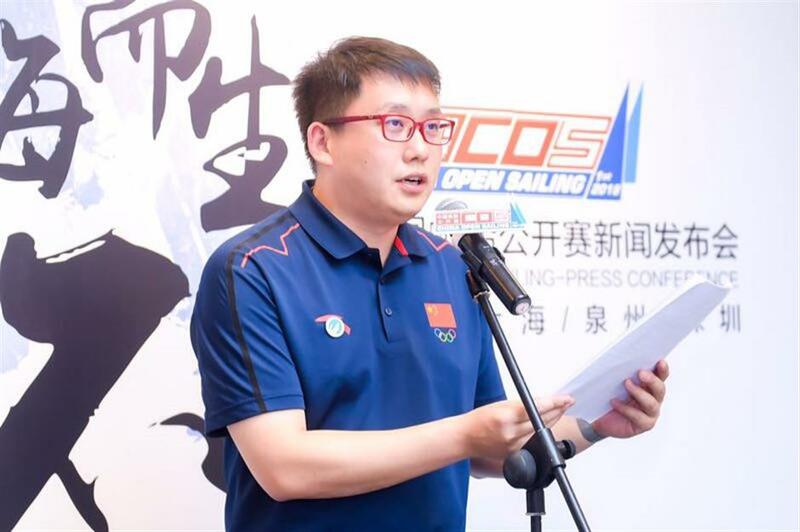 The inaugural China Open Sailing (COS) tournament will be held next month through to October, taking in the cities of Dalian, Shanghai, Quanzhou and Shenzhen, organizers announced yesterday. Jointly promoted by the Chinese Yachting Association and Dalian Sports Bureau, the competition will be China’s first A-Class offshore sailing tournament, featuring six all-Chinese teams competing with single keel sail boats that are no smaller than 43 feet. “Despite being a niche sport, there are actually quite a number of sailing competitions in China,” said Wang Jiaxin, minister of the CYA. “Our association served as a platform this time and gathered some domestic competition organizers and regional sailing associations to introduce the COS together. The inaugural COS will start from Dalian, Liaoning Province, on September 23. Shanghai will be the second stop and the competitors are expected to reach Shanghai on September 26. The tournament then heads to Quanzhou, Fujian Province, and ends in Shenzhen, Guangdong Province, on October 7. The route goes past eight provinces and cities along China’s seashore. Sailing-themed activities are being arranged in the four cities to promote sailing culture.